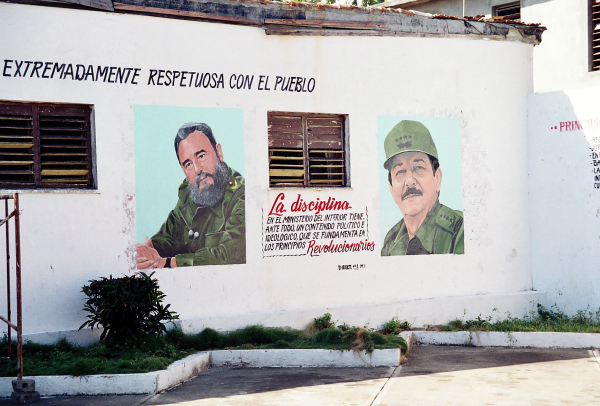 Cuba is the revolutionary soul of South America, the second home of El Che, as Cubans call Ernesto Guevara. I couldn’t leave this destination for later because Che has been my hero since my childhood, so there I was at the end of 2001. 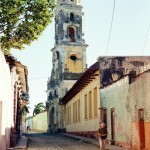 I landed in Santiago de Cuba, the second biggest city. Although my guidebook warned tourists about the bureaucracy and the useless formalities, I had none of that. 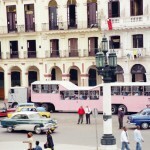 However I was questioned about the details of my stay and that showed me that Cuba is a government controlled society. I left all that at the airport and took the “colectivo” (the bus) to town. 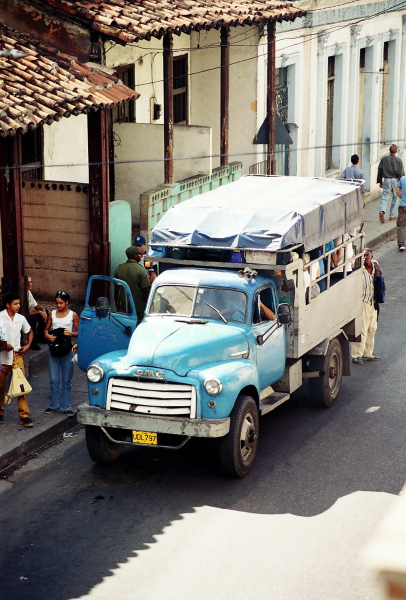 My trip started right there, in the bus No70 to Santiago de Cuba, for many the real soul of Cuba, compared to the certainly more touristic Havana. 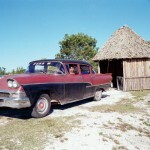 In Cuba, because of financial reasons, some of the private houses have been turned into guesthouses. That absolutely suited me since I would have a source of information right outside my doorstep. There are two Cubas, one for the locals and one for the foreigners. 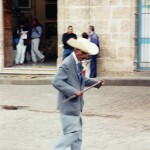 Something that for Cubans costs one dollar, for foreigners it costs ten. 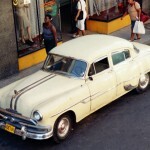 As you can understand, I chose to live the Cuban way. It’s more difficult but more authentic. 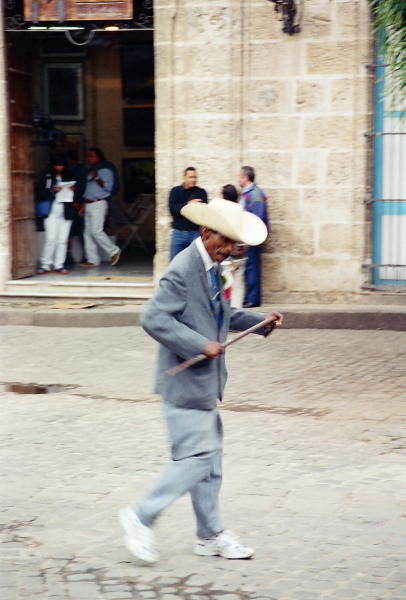 It took me six hours for an hour bus ride but I was rewarded by a local artist’s Cuban song on the bus or a nice talk with the person sitting next to me. 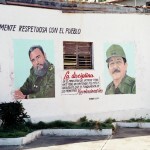 This is why I went there, to meet Cubans and not to see the five-star resorts controlled by the government. In Santiago I stayed at a friendly family’s backyard. I had three meals a day and I paid for the room only 10 euros a day. Of course, while I was eating, the door was locked because the food was not included and registered in the book so it could be taxed by the government. As a tourist I shouldn’t use Cuban pesos. 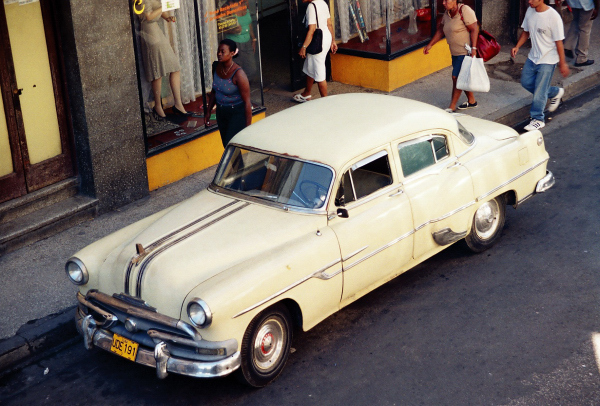 I should use convertible pesos (a currency made for tourists) but I stayed one month in Cuba and I didn’t use them not even once. It’s difficult to live in such a controlled society. Some side trips to castles and of course wandering around the streets kept me busy. 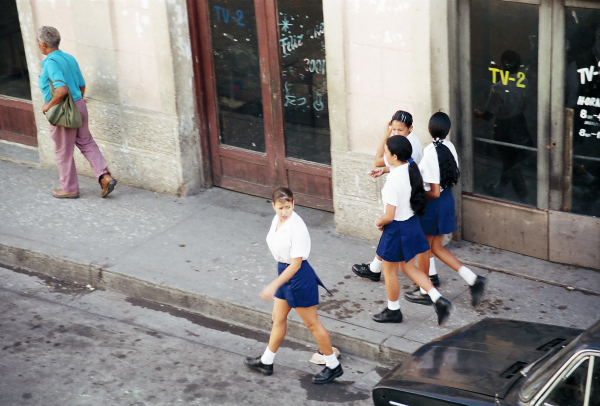 To walk around in Cuba is a process that involves a lot of socializing since almost everyone you meet wants to ask you about the world outside Cuba. Things from the 70’s are still around, from old cars to all kinds of instruments that people are forced to use due to the absence of modern technology. After Santiago de Cuba I headed to Baracoa, a small village next to the sea where the last battle of the Taino Indians took place against the Spaniards. I visited the caves that the Tainos used and the locals still use when the hurricanes hit the island. Beautiful beaches surround the area and the only way to see them is by bicycle so that’s what I did. I hadn’t used the bicycle so much since my school years. After this short break of sea and sun, I had to pay my respects to Santa Clara, the city of Che, where the most important battle of the revolution took place. Here stands the monument of the people of the revolution. When I left Baracoa, I was with two girls from Slovenia, a small country in the Balkans. We met at the bus station; really interesting girls both of them. Don’t ask me their names because I can’t remember them after all these years. We all stayed at a teacher’s house. His hospitality was memorable. It was my first experience with a place called «casa de trova» (house of music) where all the local artists take the first steps in their career. Every city has one and the moment I found out about it, I made it my hang-out place in every city. This is where you learn the real Cuban dance and music. The next day the girls left and I headed to Trinidad, an open-air museum where all the city buildings are incredibly beautiful. 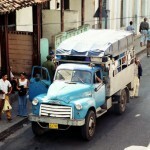 There I felt the impact of the tourism as busloads of tourists were coming from Havana for a day. I was there for New Year’s and half an hour before the New Year there was a power cut so all the Cubans started singing «Gracias, Fidel». This way they were trying to make fun of the situation instead of getting upset. Small things like that made me understand the Cuban soul that kept them going through all the difficulties that they had to face every day. After a great New Year’s salsa party, it was time to head further north to the city of Cienfuegos; same scenery, great people and great nights at «la casa de trova». I decided to travel by train all the way to Havana. That took me twelve hours instead of six hours on a bus. 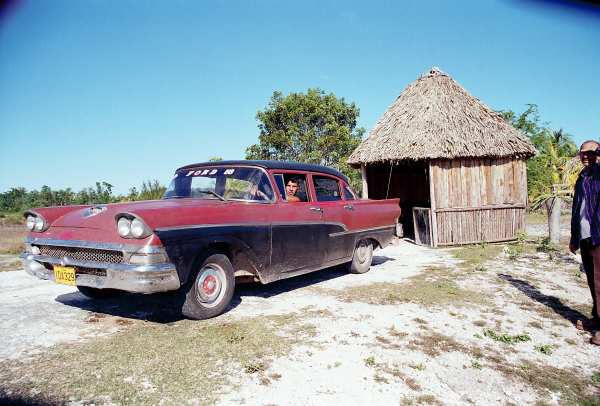 I travelled third class and although uncomfortable, they were probably the best twelve hours of Cuba. Stops were frequent but only if you live it, you will understand what was going on in that train. We drank as much rum as humanly possible, we danced, we talked and we even got into political matters, something that apparently in Cuba is forbidden to talk about in public. Everyone made me feel like I was one of them. There I met Camilio, the guy that put me up in Havana, Maria, the really quiet chemist, who insisted on teaching me salsa and other people whose names I have forgotten. 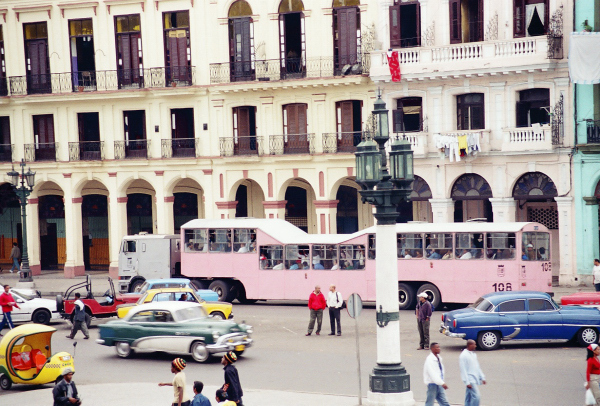 When the train entered the Havana station, instead of feeling happy, I was disappointed. Camilio asked me if I had booked a hotel room, so he could show me around and when I told him no, he asked me if I would like to stay at his girlfriend’s house somewhere in the greater Havana. Laura, his girlfriend, turned out to be a dentist that sneaked me in her house for some extra cash. It might sound funny to you but in seven days I gave her more money than she earned from the government in a month. All the good things you have heard about the magic of Havana are true. 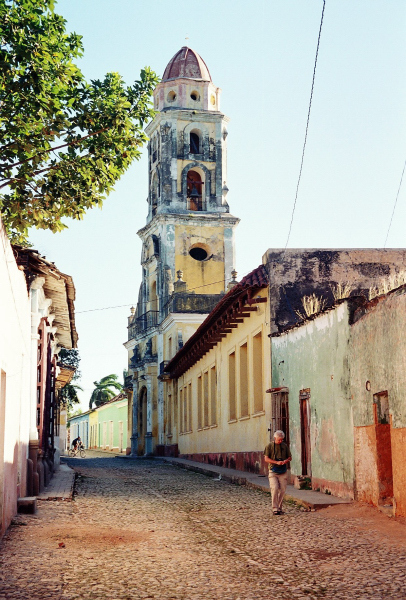 Getting to know Havana from the ghetto where I was staying changed my negative opinion about the touristic capital of Cuba. Camilio, I know that you probably won’t read this (since the Internet is controlled in Cuba) but brother, you made all the difference in my stay in your country. I went to a small island called «Isla de huventure», a former prison that was transformed into a university. There I met Claudio, a local guide, and his sister with her French boyfriend. We rented a car which was made in 1972, the year I was born. We had our dose of Cuban fiesta every night but with so much rum and so much salsa I can hardly remember anything. 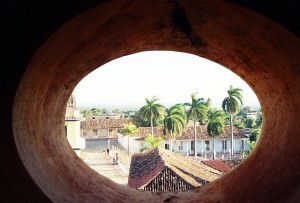 I spent my last two days in Camilio’s and Laura’s house back in Havana. I even took them out since their hospitality was unbelievable. I strongly believe that it’s worth visiting Cuba now that the US embargo is still on because there are very few places in the world as original as Cuba, untouched by any modern influence, still living the Cuban dream, a dream that Ernesto Guevara made them believe in. The hope, that one day things will be as they were promised, makes this people a rare species.